Can FSC eco-label stop logging primeval forests? The news channel ARTE published a critical documentary on the effectiveness of the FSC eco-label. FSC, standing for Forest Stewardship Council, has a widely-known eco-label that should ensure sustainable logging operations worldwide. The documentary addresses the question whether the eco-label can stop the forestry industry from exploiting primeval forests. The European Wilderness Society participated in the FSC stakeholder process in Romania, trying unsuccesfully to address the logging of primeval forests in Romania. Manfred Ladwig and Thomas Reutter visit several countries to investigate the FSC certification system. According to FSC, the certification protects forests and rights of indigenous people and local communities in and near the forest. The findings disagree. In the Republic of Congo, indigenous villages cannot hunt in the FSC-certified logging areas, thereby struggling for food. In Cambodia they track illegal timber to Vietnam, from where FSC transports it across the world under the FSC label. Additionally in Peru the journalists visit an FSC-certified company, finding large scale illegal logging operations. False documentations lead to unclear origin of timber, resulting in legal and illegal timber with the FSC label. In other countries they find more proof that the FSC certification system raises more questions than it provides answers. More detailed information and a critical analysis is also available on the website of FSC-Watch. In their response, FSC disputes the allegations from the documentary. The FSC-Watch performed a critical analysis on FSC’s response and ‘Fact check’. The Centre for Econics and Ecosystem Management at the Eberswalde University for Sustainable Development, led by Prof. Dr. Pierre Ibisch, carried out research with local experts from WWF Russia and the University of Arkhangelsk. They examined the ecological effectiveness of the Arkhangelsk region, financed and accompanied by WWF Germany. The results indicate that FSC has potential to improve forest management. Yet, researchers could not measure significant positive impact of forest ecosystem management according to the FSC standard. The Forest Stewardship Council advertises that it provides wood from responsible sources. Our research in the Arkhangelsk region of the Russian Federation alone suggests that the certification system cannot deliver on this promise globally. This is the region with the largest remaining virgin forests on our continent. These boreal wilderness areas west of the Urals are not sufficiently anchored in our European consciousness. Forestry in the Arkhangelsk region is based on clear-cutting in old or primeval forests that have never been used before. The clear-cuts are characterised by their size of up to 50 hectares, which slowly but surely devalue huge forest areas, destroying remnants of the globally shrinking Intact Forest Landscapes (IFL). Again and again, the FSC and certified companies claim that clear cutting would imitate the natural forest dynamics. There is no evidence of this from serious studies. Rather, there is a danger that the enormous reduction in biomass in the region will have irreversible consequences for the landscape water balance and regional climate. We have seen how the soils of former peatland forests dry up. On clear cuts the microclimate becomes extreme. 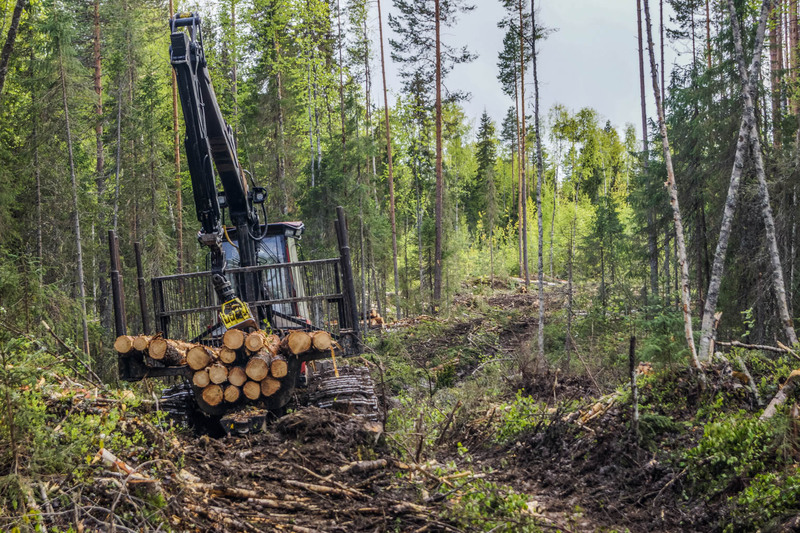 The extent of the felling is a threat to Europe’s largest wild forests; it contributes to loss of landscape ecosystem functionality and biodiversity, and it fuels climate change. The ecological catastrophe is mainly driven by the demand for timber in Western and Central Europe. There is a concrete danger that the FSC label obscures the circumstances under which raw materials are made available for our consumption. Not responsible. 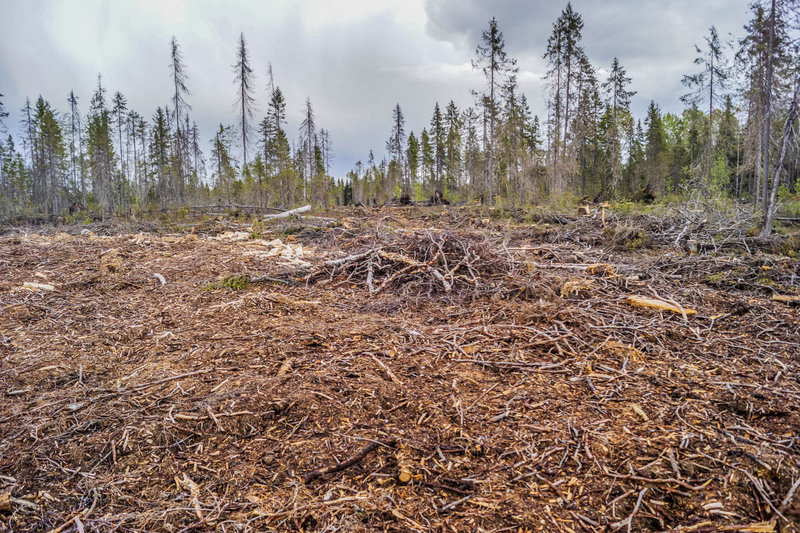 The biggest problem is the large-scale clear-cutting practice, especially within Intact Forest Landscapes. These devastating practices are not promoted by, but are compliant with the current Russian FSC standard. This feeds doubts about the consistency of FSC practice and its credibility. This Monday, the Center of Econics and Ecosystem Management, together with Eberswalde University of Sustainable Development host an event to discuss the current situations. After showing the ARTE Documentary, Prof. Ibisch will moderate a podium discussion with representatives of WWF Germany, European Forest Institute, and one of the documentary makers. The evening will be in held in German, starting at 18:00 in the Aula at Haus 6, Schicklerstraße 5, 16225 Eberswalde. Photos were taken by Prof. Dr. Pierre Ibisch. Archipelago WILDCoast – New publication!